Our Team is well equipped and knowledgable in Grounds Keeping enough to compete with the 'pure' landscaping companies. We maintain commercial properties on Kimberley Alpine Resort for Property Managers. We maintain the following properties: TimberStone, Rocky Mountain Condos, Trickle Creek Properties, Willow Vistas, Kimberley Ridge, Silver Birch & Mountain Spirit Resort. We maintain the lawns and beds at these properties on a weekly basis. 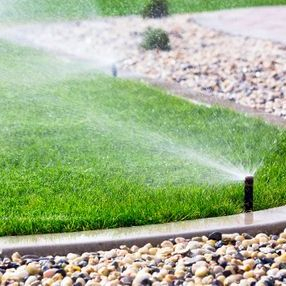 Our Team has expertise in irrigation systems for Spring Start up and Blowing Out in Fall. Fault finding and repairs can be conducted quickly and efficiently as we are based on the hill and no need for costly travel from Cranbrook. Contact Us Today for a detailed quote.